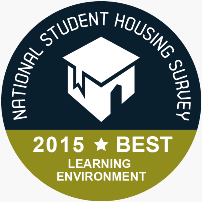 We are proud to say that private halls provider, Liberty Living, have won Best Student Broadband in the 2015 National Student Housing Survey awards. Their student broadband service has been provided by ASK4 since 2005 and this award speaks volumes for our longstanding and effective partnership. Liberty Living house just under 17,000 students during term time, plus thousands more over the summer. They operate 42 student residences across 17 UK cities, meaning their accommodation and provision of utilities receives robust testing. Speaking of their win, the team at Liberty commented, “owning anything up to 10 internet connected devices, our students expect better internet provision than they get at home. It has taken careful capacity planning, design and investment in infrastructure to achieve this (like our recent £1M+ investment in Wi-Fi networks). Winning this award tells us we’re getting our internet strategy and choice of networking partners right”. Like The Student Housing Company, Liberty has also seen a change in student expectations. “Their expectations have increased in line with the number of devices they bring with them; from tablets to mobiles, iPods to Kindles and Raspberry Pi's to games consoles. Our students want the flexibility to be able to use these devices throughout the residences. The days when students only used these devices in their room are gone. Now they want great internet access in the reception, common room and laundry”. Alongside the win for Best Student Broadband, Liberty also picked up the NSHS award for Best Student Learning Environment (Liberty Park Bedford) and gained the International Student Quality Mark (recognising over 90% satisfaction from international students). They were also shortlisted for Best Private Halls Provider and Best Booking Experience. These awards follow an already eventful year for Liberty, including their acquisition by the Canada Pension Plan Investment Board for £1.1bn in March and achieving fully let status during core university periods for all residences. We are proud to be Liberty Living’s student broadband partner of choice.